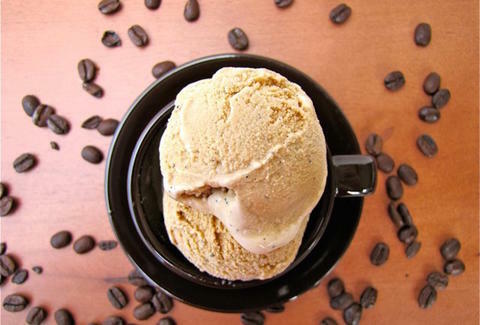 We have avoided it for long enough, but we are entering the dreaded phase of 100-plus-degree weather, which means one of two things: you pack up and sell your house -- the market is hot right now -- or, you stay put and drag your sweaty self into one of these 11 top-notch ice cream destinations that might just be your summer salvation. Although What’s Da Scoop is a nomad by nature, you can generally find it windows-up at Klyde Warren Park serving up cold treats to the masses. You can also find its schedule on its website as well if you don’t want to chance missing out. What’s Da Scoop claims old-fashioned, hand-scooped ice cream, but its flavors and toppings have nothing old fashioned about them. 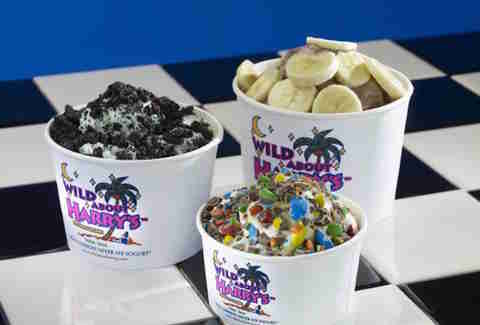 It features flavors like Kitty Kitty Bang Bang -- cheesecake ice cream with raspberry and Oreos, as well as specialty cones (like Black Magic, which is a Nutella-lined cone with Zanzibar ice cream, Dulce de Leche, sea salt, and whipped cream). 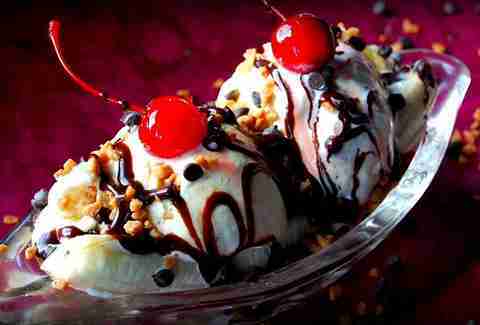 It also has specialty sundaes like The John Dillinger -- vanilla ice cream topped with pretzel pieces, sea salt, chocolate-peanut butter sauce, and whipped cream. Located in a small strip center in Richardson, Sweet Firefly looks very unassuming, but inside its walls lies a true ice cream lover’s paradise. It keeps 16 flavors on hand that rotate more or less seasonally, except for a few favorites like Sea Salt Caramel, its most popular, and Bourbon Vanilla, another fan favorite. 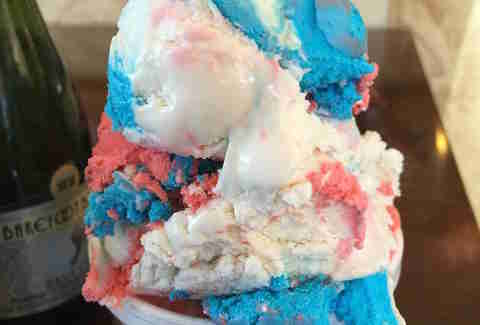 It will undoubtedly have something for you and it even has sno cones on hand if you or someone in your group isn’t a fan of the creamier things in life. Pro tip: you can get a single scoop and get up to two flavors, which will help you explore the menu. Pokey O’s is either pure evil, pure genius, or a combination of both. 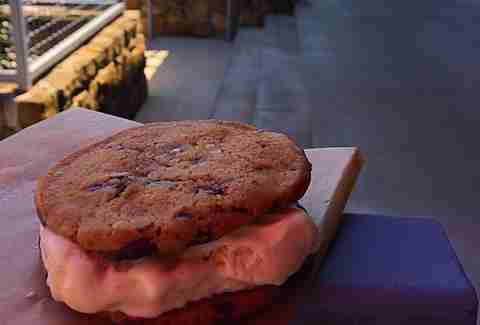 You can build your own ice cream sandwich here and with 13 different cookies like Cappuccino Chocolate Chunk, Maple Pecan, and of course, classic chocolate chip. You then get to pick from 15 different ice cream flavors to create your own personal slice of happiness. If you’re feeling really adventurous, you can pick two different kinds of cookies as well. 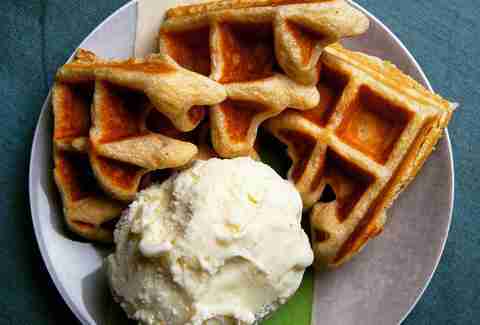 If you’re going to do dessert, you might as well double the calories and make it easy to eat. 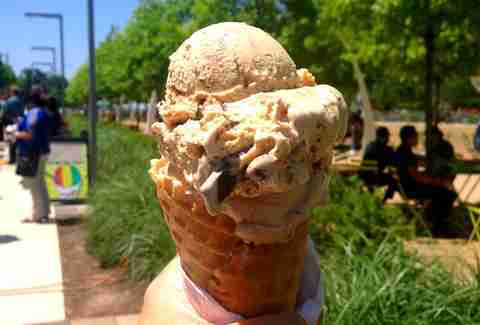 Here is a great spot that really mixes things up and takes ice cream to places it rarely goes. 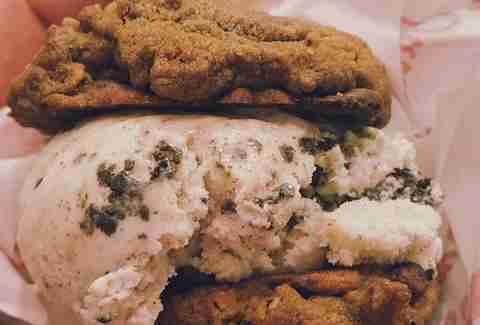 At Old Town Creamery, you will find an incredibly kind and welcoming owner and tons of standard and kid-friendly flavors, but what sets Old Town Creamery apart is what it calls its International Flavors. You can find Oolong (Green Tea), Thai Coffee, Paan (Betel leaf), and several more. 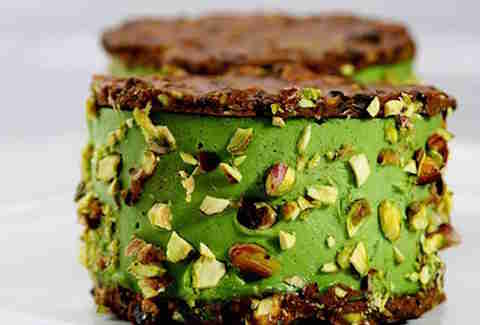 The ice cream is rich and creamy and isn’t a sugar bomb like many other ice creams, and that allows the unique ingredients in the flavors to shine. This is a really different concept and since the owner is so awesome, he does a great job of letting you sample flavors before picking your favorite. A great little shop in the midst of many amazing spots in Bishop Arts, La Original Michoacana is small and quaint, but has all the right components for great ice cream. All of its ice cream is made in-house and it has some Latin roots, so you will find some flavors that are not too common in most shops. You can dazzle your taste buds with things like Mango con Chile; super-creamy coconut topped with toasted coconut; Guanabana; Piñon -- a pink, fruity ice cream with pine nuts; and of course, there are your everyday players, but it will certainly have something you haven’t tried before. The location is also convenient, so you can eat at some of Dallas’ finest spots (Boulevardier, Tillman’s, Lockhart Smokehouse, Oddfellows, etc. 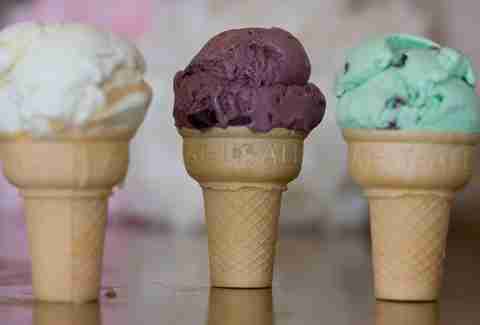 ), and then walk over and grab you a cone or scoop. Wild About Harry’s is a bit of a dual threat; it not only has ice cream -- well, it's called custard here -- but it also has pretty solid hot dogs and sandwiches as well. The custard it serves is a bit lighter and fluffier than a traditional ice cream or gelato, so you sort of feel like you’re not eating something too bad since it sits a bit lighter than most ice creams would. If you’re into the heavy stuff though, grab a Turtle Creek Sundae, which is vanilla custard with belt-busting amounts of hot fudge, caramel, and pecans on top. OR, grab the brownie sundae that takes a warm and chewy brownie and then gets topped with vanilla custard and hot fudge. It’s laid back and makes the perfect stop when you're in the Uptown 'hood. Dallas has Harry and Plano has Henry, both great guys, and both have great ice cream. One thing that Henry’s makes sure of is that you get your money’s worth for each order -- it definitely doesn’t skimp on the scoop size -- so be careful even if you order the “kiddie size.” It has some killer flavors, too, like cinnamon, lavender bean, and toffee that is filled to the brim with homemade toffee pieces. The best part about Henry’s, though, is that after you stuff your face with your favorite ice cream, you don’t have to stop there. You can walk over to its freezer, grab your favorite, and take it home with you. Because, if there’s anything better than some ice cream, it’s more ice cream. This isn’t a typical ice cream destination, because Kate Weiser Chocolate is, you guessed it, a chocolatier. However, the big “I need to try that!” item that catches most people’s attention is the French Macaron Ice Cream Sandwich, which features a big ol’ macaron filled up with rotating ice creams, oh yeah, we forgot to mention it makes amazing ice cream, chocolate, AND macarons, so this is obviously a legit combination. Since ice cream isn’t its main focus, there aren’t too many flavors and it is only served on the weekends, but it’s phenomenal and gives you a reason to come back to see what new flavors it has rolled out for the weekend. It's not quite ice cream, but do we really care? Of course not, because A) this is America, and B)deliciousness knows no boundaries. Also, these aren’t run-of-the-mill popsicles -- it breaks its pops up into two categories: fruity and creamy, so if you want to get technical, creamy is sort of like ice cream, right? Flavors change constantly at Steel City, but if you’re craving something creamy, you can bank on flavors something to the tune of coffee, strawberry cream, creamy coconut, and buttermilk. It’s actually like ice cream on a stick, so it’s pretty convenient. Not feeling creamy? 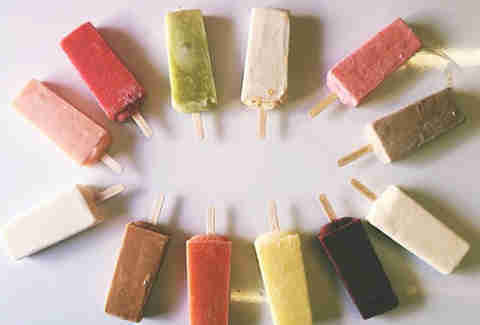 Its fruit blends may be something like these: watermelon, strawberry lemonade, or pineapple jalapeño. You never know what it will put on a stick, but you can bank on there being something you like. We’re giving an honorable mention to Roomies because as of writing this, it hadn’t actually made its debut in Dallas yet. However, we have a gut feeling you’ll want to jump on the bandwagon before it gets too full. Roomies is being started by Mark Wang, who is an engineer for a Fortune 500 company and is now going to be in the ice cream business, but he will be taking his laser-focused mentality and putting that energy into the ice cream itself. At any given time, Roomies will have six different flavors going and a few of the teasers that were thrown out were Honey Vanilla, Strawberry Balsamic Vinegar, and Peanut Butter with Blueberry Syrup. You can find it at the Dallas Farmers Market for the time being on Thursdays from 4-9pm and on Fridays from 8am-5pm.